As you enter the front door you have a sejour with tv set and a double sofa bed that leads you to a spacious and well equipped kitchen with large semicircular window. There is one double bedroom and another double with twin beds (that can be combined). 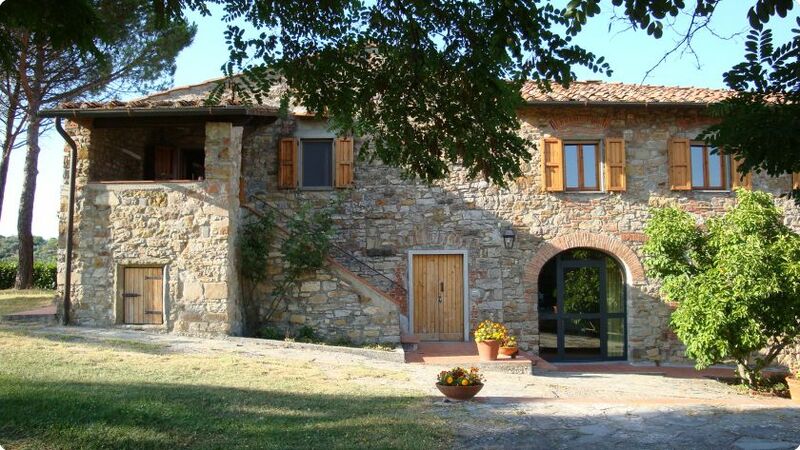 Rooms have beutiful panoramic windows over the Vallombrosa valley and Valdarno hills. Then, a large bathroom with shower. The apartment has been recently restored, there are terracotta floors and beamed ceilings. Outside a tiled private terrace with beautiful views over the Arno valley.